The story of Hansel and Gretel is one of the oldest and most famous of the European repertoire. In this version imagined by Samuel Hercule and Métilde Weyergans, Hansel and Gretel are not children but an elderly couple. And the tale is set in a small northern town of France during the ‘70s economic crisis. One day, he runs into Barbara on the side of a country road. She will change his life. During one of his sleepless nights when he is haunted by dark thoughts, Barbara manages to persuade him to abandon his parents in the forest. Our version of Hansel and Gretel strives to be a cruel and poetic tale, set in the middle of the financial crisis of the ‘70s. With his back to the wall, Jacob wonders how he is going to keep feeding his family. Here an unpleasant truth is illustrated: poverty and need don’t improve character, but make us more selfish, less sensitive to other people’s suffering and also more prone to launch into foolish, even cruel, actions. 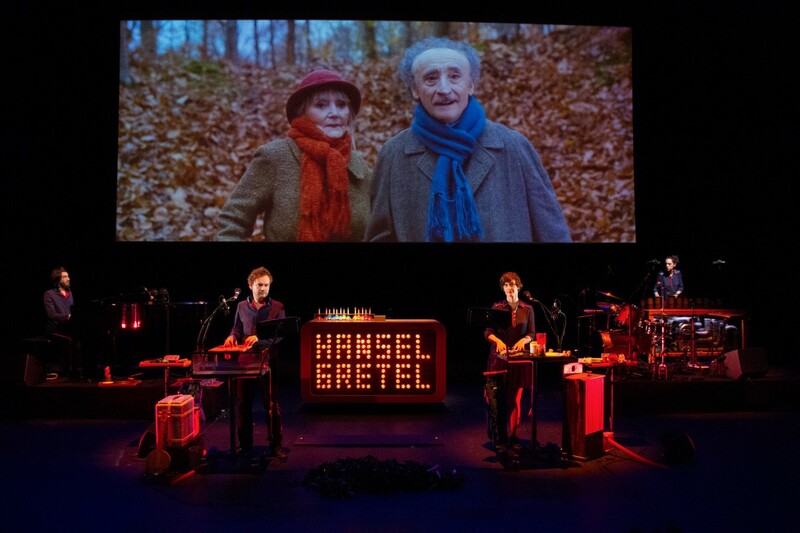 By reversing the child/parent roles, Hansel and Gretel questions our relationship to elderly people. How do we deal with the daily financial and emotional weight brought about by the loss of autonomy of our forebears? Production: Nouveau théâtre de Montreuil, National center for dramatic arts (executive producer), La Cordonnerie. Coproduced by: Le Granit, National theater of Belfort, the Opera Theater of St Etienne. With the support of TRAFFO Carré Rotondes. Subsidized by the Rhône-Alpes Region, the Rhône-Alpes DRAC and the SPEDIDAM. Running Time: 1 hour – Suitable for all audiences over the age of 6.